Even if the day is dreary, wrapping yourself in this throw will make you feel comfy. Crocheted in an up-to-date version of the ripple pattern, it adds textural interest to your surroundings. Link for free pattern is below! 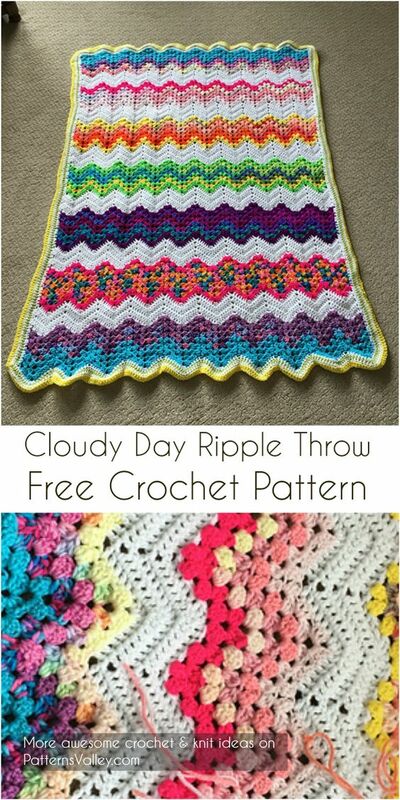 NOTE: Free crochet pattern in PDF format you can simply download from here.